Edges - Soft, Hard, Lost - How important are they! Edges are very important in our paintings. When painting we always must be aware about them. 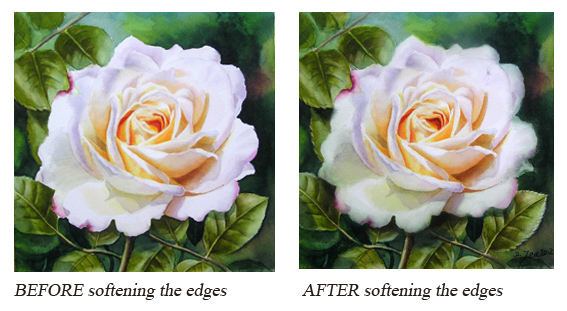 In my Watercolor Videos you always hear me saying “soften your edges”. Different kind of edges help us to make our paintings looking real, looking as a whole and not looking like a puzzle. Edges guide our eyes through a painting. Edges give a painting different dimensions. It is important to have a good handling of edges in a painting. interest should be seen with perfect clarity. 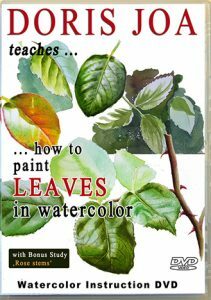 background, as excample when an edge of a leaf blends together with the background. The hard edge is lost. soften the edges is to do this immediately after a wash was applied. With a damp brush. Please have in mind that in photographs the edges are only hard! 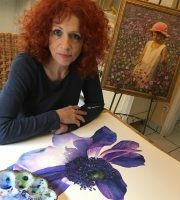 So it is up to us artists to translate the photograph into a painting. A good rule to start with is to paint the edges of the center of interest hard and from there we paint soft and lost edges. Compare the two photos below. 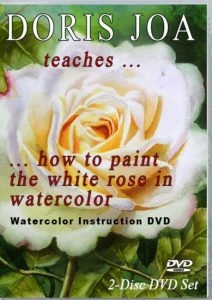 This are from my painting in my White Rose Video. It is easily to see what a difference the softened edges do make to the painting. In the left photo the rose looks like ‘cut out’ and in the right photo the rose is now part of the scene. All edges around the rose are soft, because the leaves only support the rose. The leaves are not the center of interest. Often an edge of a leaf blends together with the background and cannot be seen. This kind of edge is a lost edge. Edges are very important in our paintings. 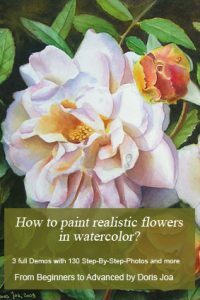 Always have in mind what they can do for your painting, how they can help you to guide the eye through a painting and what a difference make them when they are softened. 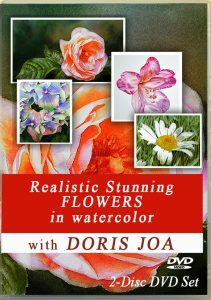 When painting with watercolors it is always possible to soften them at a later point. 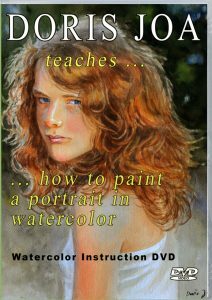 Don’t forget to have a look at my other free watercolor lesson.